All New Harmony homes currently listed for sale in New Harmony as of 04/26/2019 are shown below. You can change the search criteria at any time by pressing the 'Change Search' button below. If you have any questions or you would like more information about any New Harmony homes for sale or other New Harmony real estate, please contact us and one of our knowledgeable New Harmony REALTORS® would be pleased to assist you.
" Own your own ranch in Meadow Springs... Endless possibilities. These properties back to Dixie National Forest. The views of Kolob Fingers are breath taking. Two residences (2nd home was built in 2004 1691 sf upstairs with 2 bedrooms & 2 bathrooms, 3 car attached garage & 1691 sf unfinished basement) and two springs are included. Property is almost fully fenced, ride ATV's or horses on or from the property. See deer, coyotes, turkeys and fox. Green house and garden spot, private well and septic. Backup automatic Kohler generator. Covered stalls, riding arena & round pen, all panels remain. Includes Tax ID's 3031-A-1-A-1-A-NS, NH-3-8-16-3205 and NH-3-8-16-2310. Buyer to verify all information, deemed reliable, however buyer to verify all info including utilities & HOA information if applicable." "Riata Ranch, located in New Harmony, Utah is the ultimate horseman's paradise. 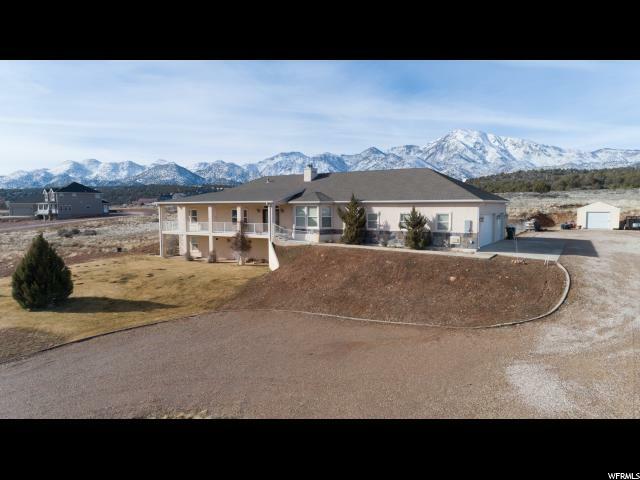 It has the tranquility of mountain country living, and the convenience of easy access from I-15, just 30 minutes north of St. George, UT and 20 minutes south of Cedar City, UT. The Ranch has unbelievable views of the ''Kolob Fingers'' in Zion National Park, Pine Mountain, New Harmony Valley, and Dixie National Forest. The fenced and gated property has a Santa Fe style main ranch house with a separate casita, 7 horse barn with large bunkhouse, western town, and a covered 9,375 sq. ft. arena. The western town fronts another bunkhouse with living accommodations, water tanks from the well, and a large RV garage with workshop. There is also a large open arena, gated pasture, and much more. Property comes with 3.2 SH water. No yearly water fees. Call today to take a look at this unique property. New Harmony is centrally located to some of the greatest outdoor year round recreation destinations in the world. Brian Head Resort and its surrounding areas have world class skiing, snowmobiling, mountain biking, hiking and atv riding. Zions National Park is 20 minutes away. Grand Canyon and Bryce National Parks are 2 hours away. Sand Hollow State Park which is 45 minutes away has boating and fishing. 12 golf courses are within 30 miles. The 3,000 square miles of Dixie National Forest with all its recreational opportunities including horseback riding, camping and hiking, is also easily accessible from New Harmony. " 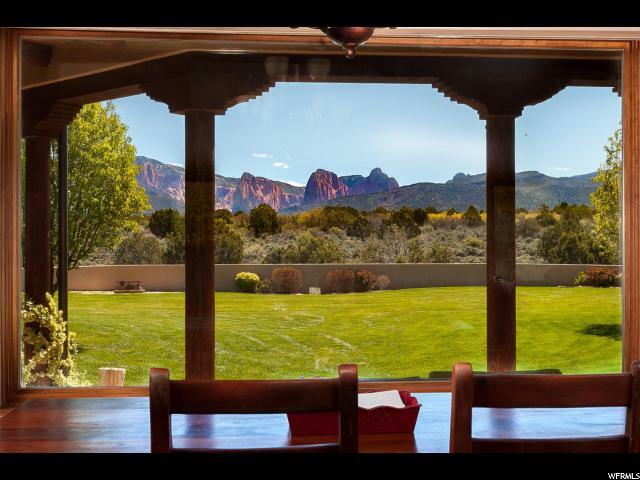 "119+ Acres and incredible views of the Kolob Fingers and Pine Mountain. RV Parking, Corrals, Bunk House and a large barn with covered horse area. Livestock can roam freely as the property is fully enclosed with fencing and a cattle guard. 4 acre ft water included as well as a functional fire hydrant. Camping area and plenty of room for many more structures. Gorgeous country style home. Trails have been carved throughout the property. Great for ATV's, Dirt Bikes, Hunting, Horseback Riding and entertaining family and friends. Enough land for endless new creations and ideas. Apple trees right outside the front door!" 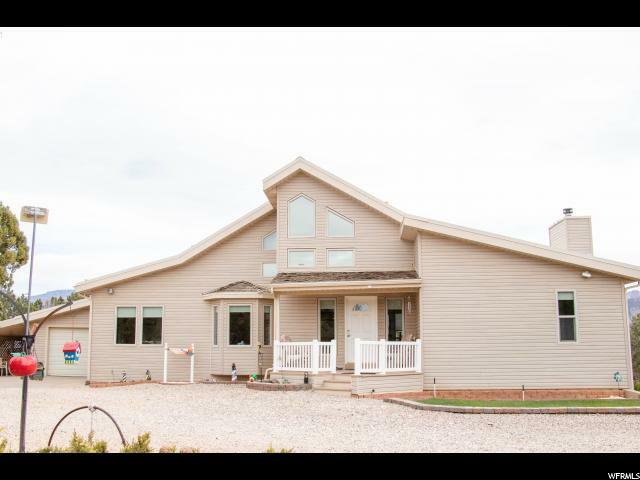 "Set off the road with majestic views of the infamous Kolob 5 fingers it is more than just a home, it is an amazing piece of workmanship, it is an orchard, an investment in the future, it is land. 6100 sq feet and 5 acres of so many possibilities. 2x6 construction with 6 types of amazing wood, Solid Alder doors including a Black American Walnut Ft Door, Brazilian Walnut floors, antique refinished sawn floors in the master bd. and more. A timber frame, fully rentable 1 bd 1.5 bath guest house (rental history available.) Mature fruit tree orchard along with another 5 acres of amazing land backing endless acres of Pine Mtn forest. So much more this is a must see property. " "Country living with million dollar views!! This well keep home has so many extra from radiant floor heating to a back electrical generator system. This home sets on 18.82 acres, 15 plus acres have been put into green belt. The property overlooks the popular Kolob five finger. 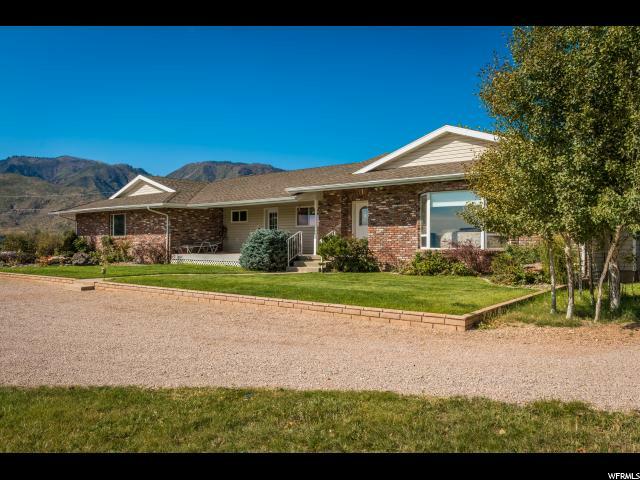 This home and property offers a large private work shop area, a green house and garden area, covered horse stalls with large a riding arena, Large chicken coop and run, covered hay barn with many corrals and fenced pastures. Property comes with 4 acre feet of water and private well. This home and property has so many extras that makes it one of a kind and a must see! Please call listing agent for Showing instruction. Please allow 24 hours notice for showings home is is occupied currently." "Escape The Heat And Enjoy Country Living In This Beautiful 5 Bedroom 3 Bath Custom Home On 5.13 Acres In The Blackridge Ranches. Nice Open Floor Plan With Lots Of Storage, Walkout Basement, Fenced Yard, Workshop, Solar And So Much More. Basement Could Be Used As A Separate Mother In Law Quarters. 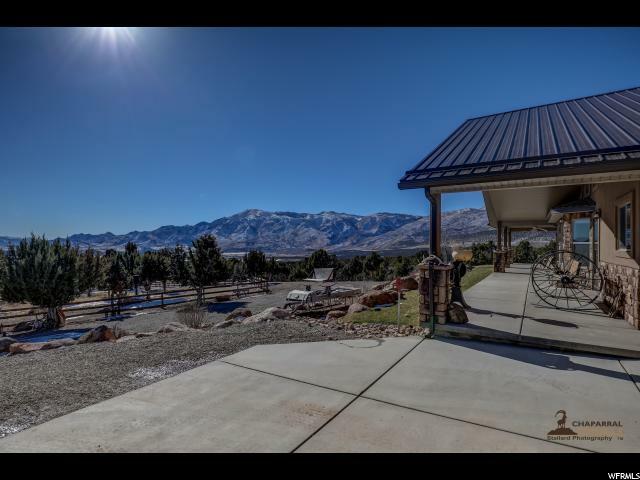 Horse Property With Incredible Views In All Directions. Only 25 Min From St. George."